IT SEEMS such an obvious concept but it is really surprising that no one has produced a book like this before now. This superb little volume is lavishly produced and packed full of informative text and stunning photographs. 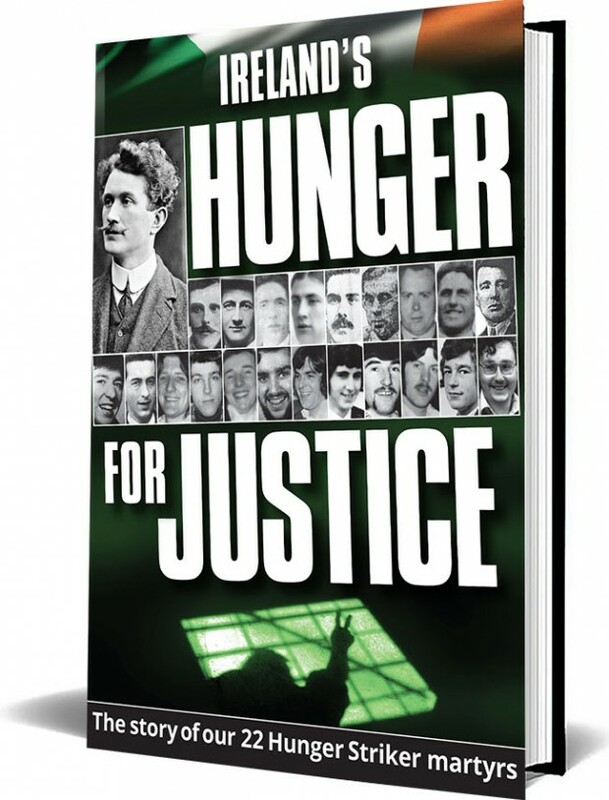 The book is published by the Tomás Ághas Centenary Memorial Committee, Ciarraí, to mark the centenary of Thomas Ashe’s death from force-feeding whilst on hunger strike. He was the first of 22 republican hunger strikers to die over the following 64 years. All republicans are aware of the ten H-Blocks hunger strikers of 1981, and most would remember Michael Gaughan and Frank Stagg in 1974 and 1976 respectively. Similarly, the majority would also remember Thomas Ashe and Terence MacSwiney. 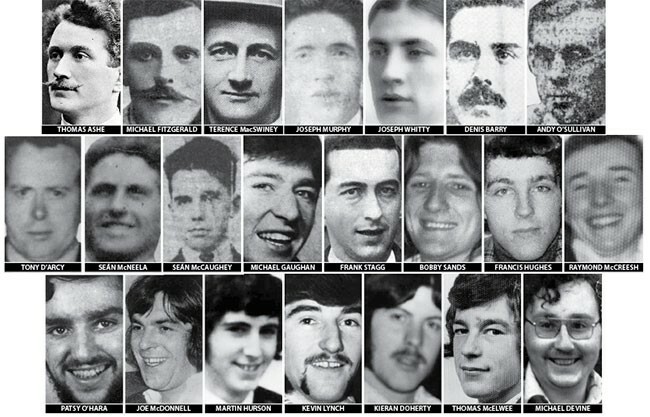 I would strongly suspect, though, that many people nowadays would be hard-pressed to name any of the other eight H-Blocks martyrs, let alone all of them. This book, hopefully, will rectify that situation and reacquaint a wider public with these forgotten heroes. Terence MacSwiney, although the most famous of the 1920 hunger strikers, was not the first Corkman to die. He was preceded eight days earlier by Michael Fitzgerald, whose death did not receive the same publicity as an Irish elected official – the Lord Mayor of Cork no less – in a prison in London. Similarly, Joseph Murphy from the USA has been all but written out of history owing to the fact that he died on the same day as Terence MacSwiney, whose own death dominated the international headlines. The next three hunger strikers to die were not prisoners of Britain but of the Free State. All three died in1923: Joseph Whitty from Wexford, and Denis Barry from Cork both died in the Curragh Camp; Andy O’Sullivan from Cavan died in Mountjoy Prison. It was another 17 years before the next hunger strike deaths and this time the regime in power was de Valera’s Fianna Fáil government who, despite paying lip-service to a republican tradition, pursued a strict line of repression. Tony D’Arcy from Galway and Seán McNeela from Mayo both died in Mountjoy in April 1940 but, due to intense press censorship and implementation of the Emergency Powers Act, news of their deaths was not widely disseminated and much of the public remained unaware of the hunger strike and subsequent deaths. The last death to occur prior to the ‘modern’ era of hunger strikes was that of Seán McCaughey, from Tyrone, who died in May 1946 in Portlaoise Prison, again under de Valera’s Fianna Fáil government. This book records in detail the lives of these forgotten martyrs, as well as those of Michael Gaughan, Frank Stagg and the ten H-Blocks Hunger Strikers. There is also a commentary preceding each phase of hunger strike activity which contextualises the protests and explains the prevailing politics of the time. There is such a wealth of information that this is a book that will be read and re-read constantly with new facts and insights becoming apparent on each reading. This is a stunningly good book that should be in the possession of every republican. It’s not too early to start dropping hints about Christmas presents. » Sinn Fein office, 2 Moyderwell, Tralee, Co. Kerry. » Mahonys bookshop, Castle Street, Tralee, Co. Kerry. » Polymaths bookstore, 2 Courthouse Lane, Tralee, Co. Kerry.